Buy Classic Lenses Podcast a Coffee. ko-fi.com/classiclensespodcast - Ko-fi ❤️ Where creators get paid by fans, with a 'Buy Me a Coffee' button. Karl Havens, Johnny Sisson and Simon Forster (plus an occasional guest or two) release their inner lens geek and talk about using old (and modern) manual focus lenses in this weekly transatlantic digital and analogue friendly podcast. The podcast emerged from the popular Facebook group, Photography With Classic Lenses and that’s where the main discussion on each podcast can be found. Secured Payments. 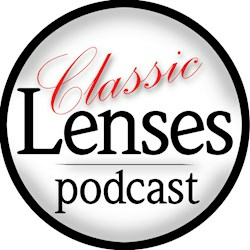 Support goes to Classic Lenses Podcast's account.